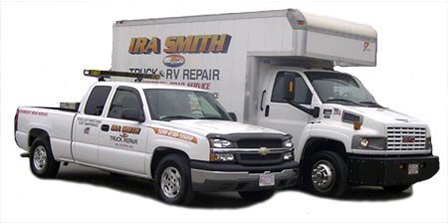 Ira Smith's Truck Rental & Repair is a Class D Massachusetts Inspection Station and Registered Repair Shop. 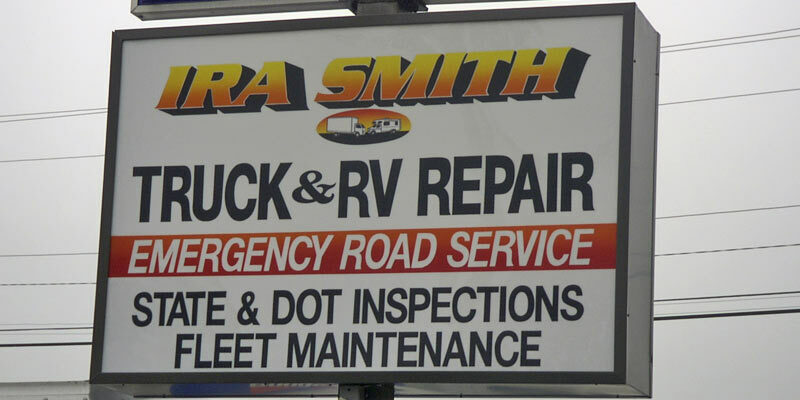 As a Class D Inspection Station we are authorized to inspect all passenger cars and commercial vehicles and trailers. This test is mandated by the Commonwealth of Massachusetts for all vehicles. This inspection must be done annually, before the expiration date on your current sticker. Please bring your vehicle registration to the inspection. All Massachusetts registered passenger vehicles must receive an on-board diagnostic emissions test each year. Massachusetts Vehicle Check now offers one-stop shopping for commercial vehicle inspections. In the past, commercial vehicles had to undergo two inspections, often at different times and locations. Now, the annual state safety inspection is equivalent to a U.S. Department of Transportation (DOT) inspection, so both requirements are satisfied at once. This streamlined process saves commercial vehicle owners both time and money. Massachusetts registered single, full, or semi-trailers that are used in commerce and have a gross vehicle weight rating (GVWR) over 3,000 lbs now required to have a Massachusetts state inspection. Hassle free MA Vehicle Checks, close to home.